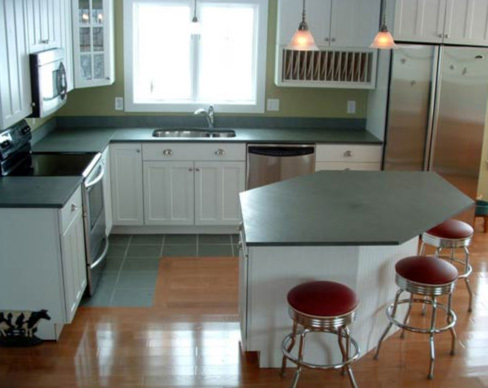 Sheldon Slate mines and manufactures original slate products from their own quarries. 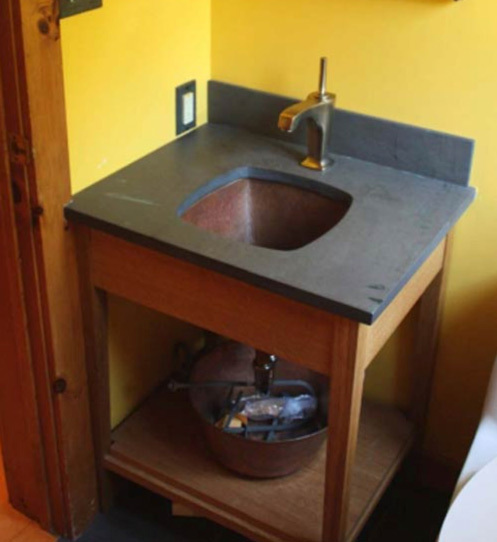 Sheldon offers slate floor tile, flagging, structural slate and roofing, monuments and slate sinks. 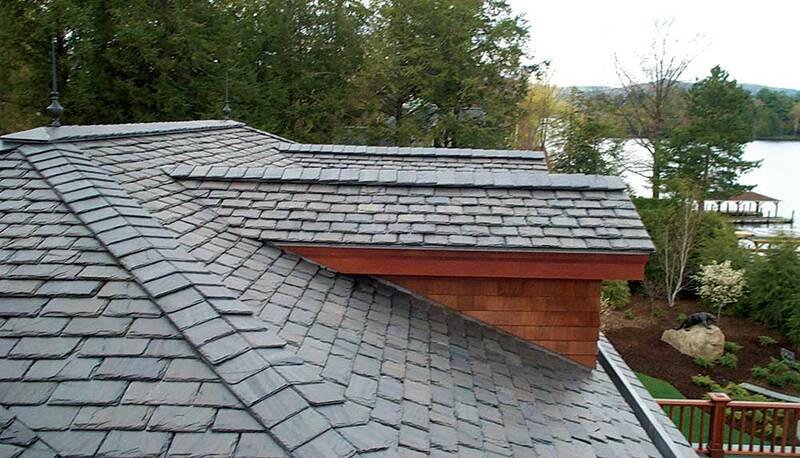 SHELDON SLATE is a family owned business with four generations of experience. 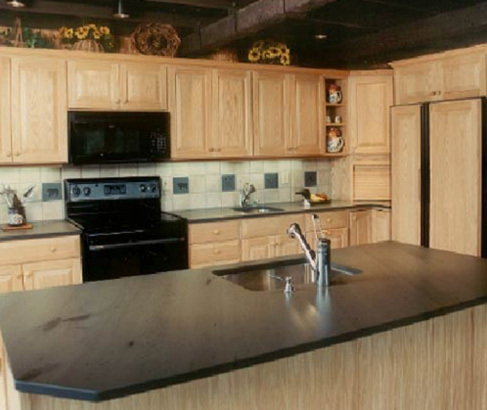 Sheldon Slate mines and manufactures original slate products from their own quarries. 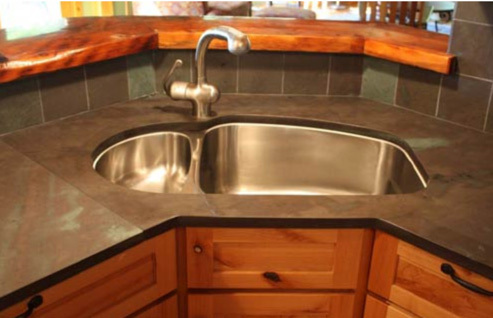 Sheldon offers slate floor tile, flagging, structural slate and roofing, monuments and slate sinks. 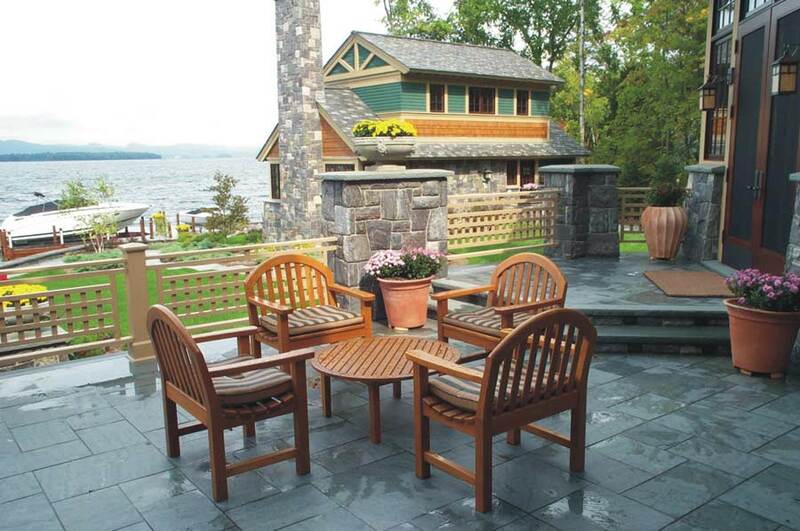 Slate is an incredible green building material, known for its durability, natural beauty and versatility. 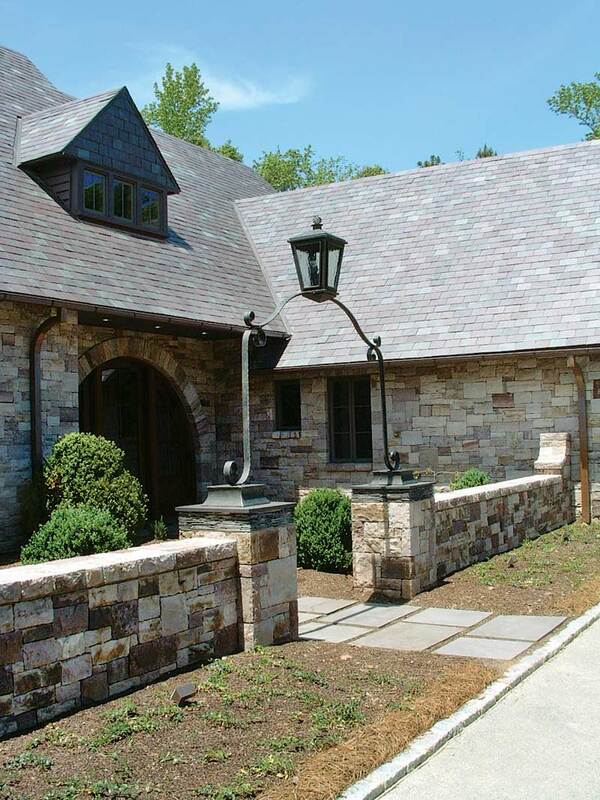 The natural colors, textures and inherent qualities of slate are in tune with today's lifestyle demands for a home or business with warmth, elegance, charm, and easy maintenance. 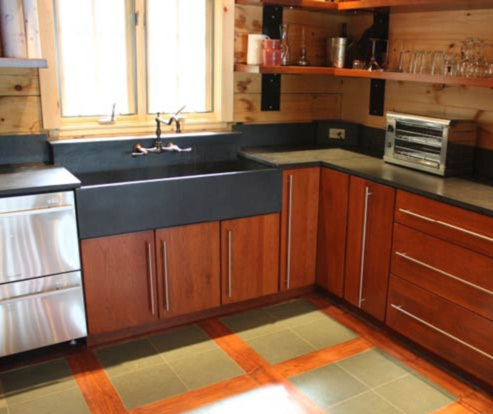 Established in 1917, Sheldon Slate is the premier source of natural slate flooring tile from deposits in the New England region. Our plant in Middle Granville, New York is one of the largest capacity slate tile production mills in North America. At the quarries, rock and soil overburden is removed to access geologically fresh stone. Drilling and blasting are employed to break large slabs from the deposit. In the primary mill, large slabs are further broken down into flagstone and cutting stock for the secondary mill. "Cleaving" means to split the slate along the rift or natural bedding of the stone and the result is a "natural cleft" surface. In the mill, the prime stock is cut to size and split to the desired thickness. Gauging is performed to further control thickness. 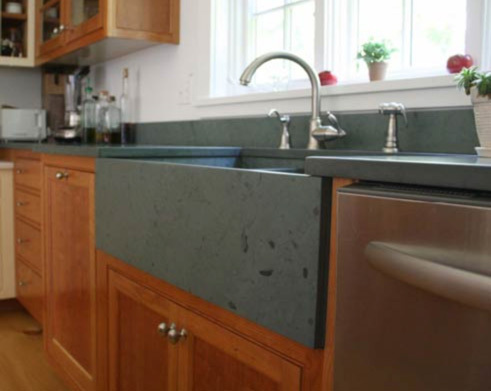 Surface finishes include natural cleft, honed and sandblasted. 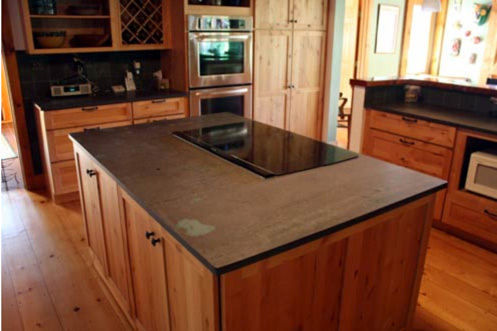 The process of fabricating slate counter tops begins by sawing the blocks on a 7 1/2 foot diameter computerized monoblade saw from Park Industries, or our Pelligrini wire saw, which cuts them into slabs of a desired thickness. The slabs then move on to a 72 inch Sawing Systems diamond grinder which is used to calibrate the slabs into the required thicknesses. The slabs are then placed on the computerized slab polisher, and milled to the medium honed finish. A CNC Cemar gantry saw is used for sizing and edge work or sink cut outs are completed on the L-Tec CNC router. 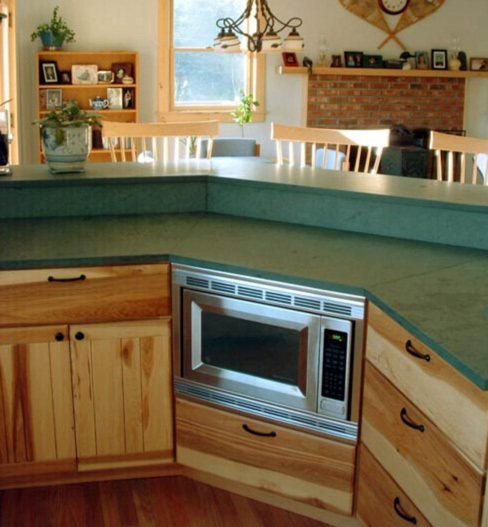 The final fit and finish are done by our skilled employees. We have not found any better method to achieve the finish that we want, than by the caring hands of our employees.